Air operated pumps are used for pumping liquids, oil (fat), pastes or powders. Since the pumps are powered by air, they can also be used in explosion hazardous or moist areas (many pneumatic pumps meet the specifications of the ATEX Directive). Air pumps have a reduced noise level and are low in maintenance in relation to many other types of pumps. Pneumatic pumps can be used for a wide range of applications: in the chemical industry, to pump oils, powdered substances and ink, in the foodstuff industry for sauces and liquid flavourings. Air operated pumps are used to pump lubricants, acids and cleansing agents in the automotive, offshore industry and at shipyards. 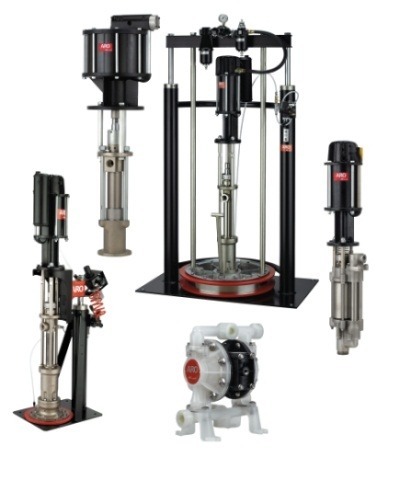 The pneumatic pumps you can find at Laco are the Ingersoll-Rand ARO diaphragm and piston pumps, well known for their excellent quality and reliability. You can hire or purchase these pumps at Laco. You select a pneumatic pump on the basis of the viscosity of the fluid you want to pump and the required capacity. 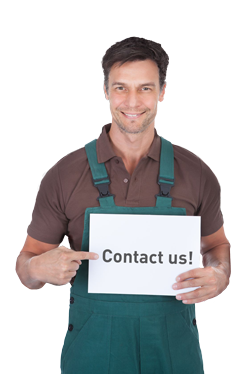 Please ask a professional Laco advisor for advice before purchasing or hiring a pneumatic pump. There you will find professional advisors, who will help you choose the right pump and provide you with additional information. Laco does not only deliver the best ARO compressed-air pumps, but also offers tailored advice and a first-class service. ARO diaphragm pumps – are used as continuous process pump for pumping the most diverse fluids with a light to medium viscosity. Most ARO diaphragm pumps are ATEX certified. The pumps do not need an overpressure valve or pipe. Broad range of materials, easy to adjust. ARO piston pumps – are used for pumping liquids with each possible viscosity, even the thickest fluids such as lubricants and mastic. These pumps are extremely accurate and reliable. At Laco you can find two-ball piston pumps, four-ball piston pumps and chop-check (extrusion) pumps.